LG has introduced new Bluetooth headsets just ahead of IFA 2016. The most important one is the Tone Active+ Bluetooth stereo headset. It will be available at a price of $179.99 (roughly Rs. 12,100), and will be demoed further at IFA 2016. The Tone Active+ supports Bluetooth 4.2, and comes with IPX4 rating for water and sweat resistance. It comes with a quad-layer speaker technology and external stereo speakers. The Tone Active+ has a Qualcomm aptX/Qualcomm aptX HD audio codec for 24-bit lossless audio and a Digital MEMS microphone for voice calling. LG says the earbuds on the Tone Active+ slide out in a way that makes them fit comfortably in the ears, and then just slide back in once the user is done with it. These new retraceable earbuds essentially aim to reduce the need for chord management. The wireless headset comes with a rechargeable battery that claims to give you 13 hours of talk time (speaker mode up to 9.5 hours) and up to 17.9 days of standby time. 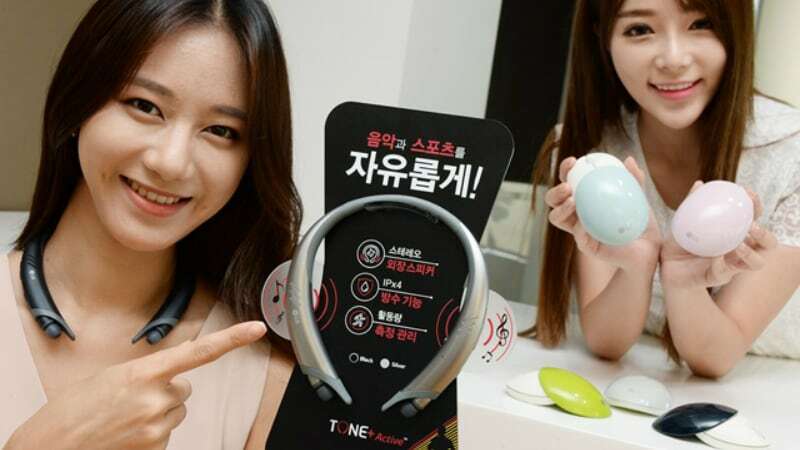 Alongside the LG Tone Active+, the company is also going to demo many other accessories. The HBS-A80 entry-level Bluetooth headset, and the HBS-820S Bluetooth headset with one external speaker will be showcased at the commercial fair. There’s also the LG Force HBS-S80 headset which comes with earring shaped-buds made of silicone. Lastly, LG is also looking to showcase the LG Beetle wireless mouse. It supports Bluetooth, and the big talking point of the mouse is the interchangeable covers. LG is making the removable covers available in Grey, Lime, Indigo, Mint, and Pink. Apart from LG, Sony is also hosting an event ahead of IFA on September 1. The company is widely expected to launch the Sony Xperia X Compact, and the Sony Xperia XZ at the event.